Dennis and Janine Skinner came to City Square at the suggestion of a friend. Because they have a transgender son and lesbian daughter, they were looking for a place that embraced diversity, particularly the LGBT community. They came to City Square for one of the first services. “We looked around the room and there was a diverse range of ages and ethnicities. There were lesbian couples holding hands. So, the diversity made us feel completely at home,” Janine said. City Square tithes a portion of its weekly offering to a different charity each quarter. Dennis noted that he was impressed that the money from that quarter was being contributed to One-n-ten, an organization that helps LGBT youth. He remembered being happy to see One-n-ten’s logo proudly displayed at City Square. Dennis described City Square as a great paradox. He said that it’s a place that’s in line with his belief system and challenges him to think about things differently. “I love that City Square is willing to take on topics that other churches might consider too controversial or political.” For example, Pastor Brian recently discussed immigration in a sermon series. 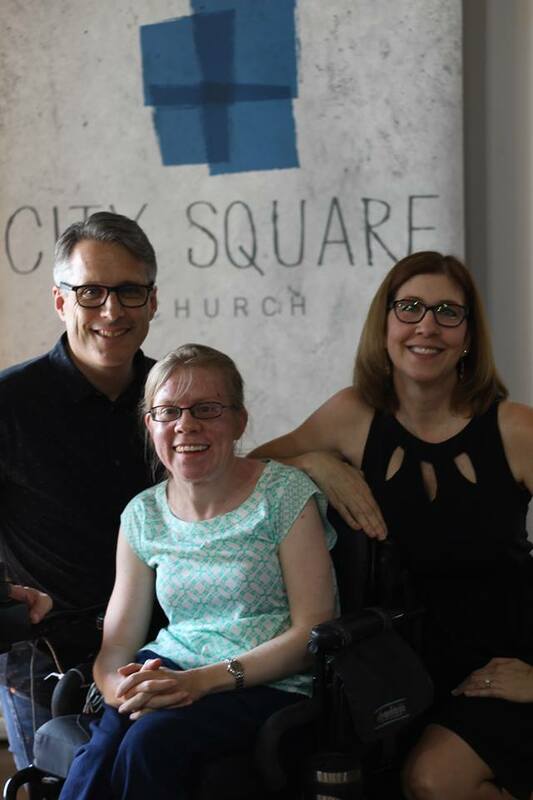 In addition to learning and growing from City Square, Janine said the City Square congregation has become like family to her and played a part in their decision to move to downtown Phoenix. As a couple in their 50s, Dennis and Janine said they love being embraced by a young church community because having friends their kids’ age gives them a fresh perspective and allows them to stay young. Dennis said he wants people to know that, “City Square is a really cool place. It doesn’t matter if you know what you believe or which labels apply to you. You are going to feel welcome.” Janine said she loves that there are other opportunities for people to be involved in City Square even if they don’t want to come to church. They have invited friends of theirs to participate in other City Square social events such as theology pub and happy hour. “City Square is a unique place, and I’d encourage people to give it a shot,” Janine said.